JECO is issued biannually, i.e. April and October. 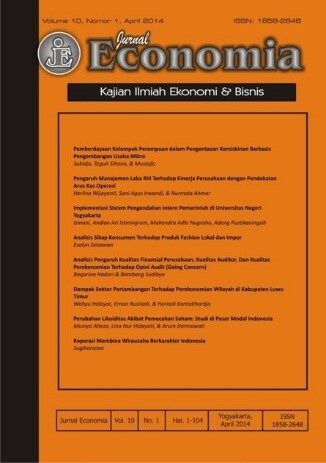 Jurnal Economia (JECO) invites you to submit original and unpublished manuscripts in the topics related to economics, accounting, management, business, entrepreneurship, and finance.